A window Venetian blind consisting of horizontal slats which can be pivoted to control the amount of light that passes through it. Venetian blinds come in either faux wood or basswood. When left down and tilted they are a great alternative to net curtains. Faux wood has increased in popularity over the years due to 1) light in weight; 2) don’t chip; 3) easy to clean; and 4) they won’t rot! Slats are the horizontal pieces that you tilt, raise, and lower when operating your blinds. There is a varying sizes of slats available for Venetian blinds. The standard slat sizes are 35mm, 38mm, 50mm and 63mm. If you need to cover a small window, go with smaller slat sizes on your Venetian blinds. If you order larger slats, it can disproportionate and odd. Smaller sized slats mean you’ll have more slats per blind than you would with larger slat sizes. Smaller slats also mean that you have less room between each one, so you can block more sunlight than with bigger slats. However, it also means that when you have the slats open, your view to the outside won’t be as open, but you can always completely raise the blinds when you want to. The larger the window, the larger the slat size! 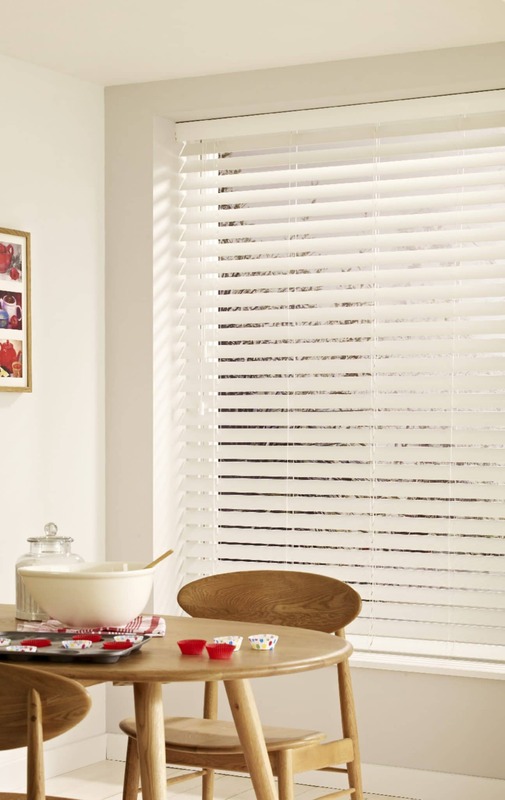 Venetian blinds offer full control over light in your home as well as offering a good level of privacy. On a bright day, simply tilt the slats backwards to face the window and this will deflect and diffuse any strong sunlight. This will reduce glare without blocking light and help to protect furnishings and fabrics from sun damage and fading. Similarly on a dull day, if the blinds are tilted forward slightly then as much light as possible will be directed into the room without having to have the blind fully open which would compromise privacy levels. Measure the recess width of the window and recess drop of the window. We will make any allowances for the cassette. Take the stress out of the fitting stage and avail of our professional fitting service. Talk to us today to find out more.